Mexican food for breakfast is probably one of my favourite things in the world. Huevos rancheros? Best. Ever. However, I choose not to eat eggs or dairy, so what am I to do? Well, I get as close as I can, vegan-style, with a delicious tofu scramble and mexi-flavours like avocado, cilantro, salsa, spices, beans and lime. Put those ingredients in pretty much anything and that, I will eat. The tofu scramble is delicious just on it’s own too, so feel free to just enjoy that if you’re pressed for time or ingredients! 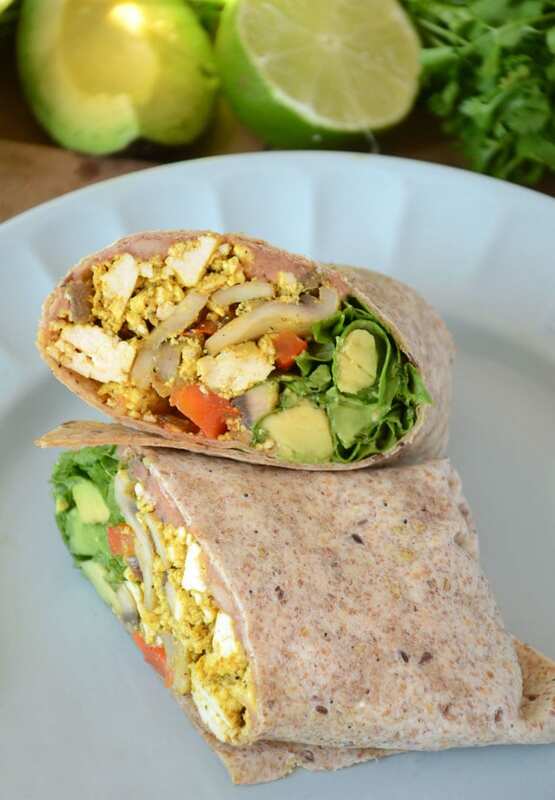 I hope you enjoy this very simple, vegan-style tofu breakfast burrito. Next, I gotta work on some vegan breakfast tostadas or getting closer to huevos rancheros…if you have any bright ideas, let me know! 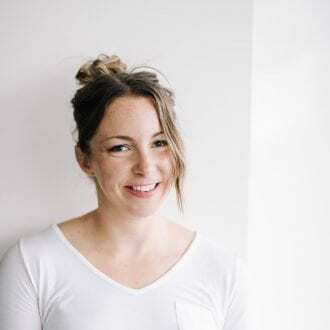 Oh, and if you really wanna take this up a notch, make this Real-Deal Homemade Non-Dairy Sour Cream and proceed to smoother your burrito with it. And if you’re feelin’ realllly crazy, make this Cilantro Avocado Cream Sauce and add it in too. P.S. Let me know when it’s ready…I’ll be waiting. 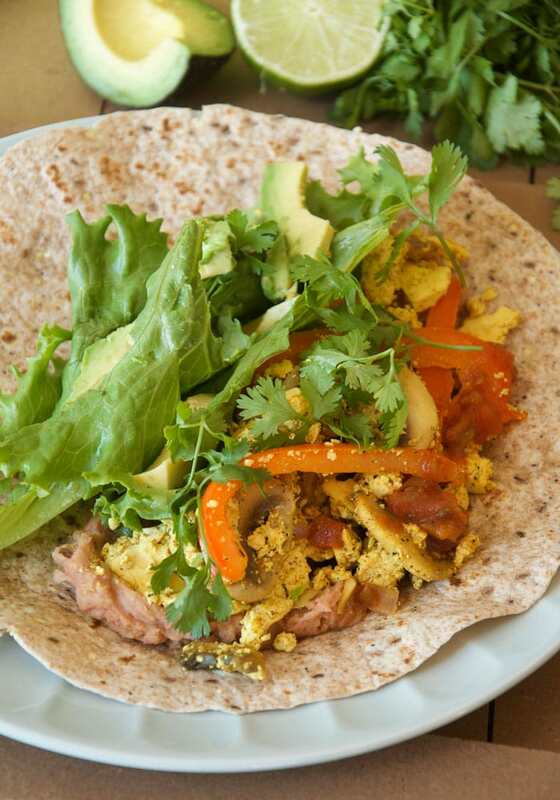 These healthy vegan breakfast burritos taste amazing and are easy to make. You can prep the tofu scramble ahead of time then just throw them together in the morning. 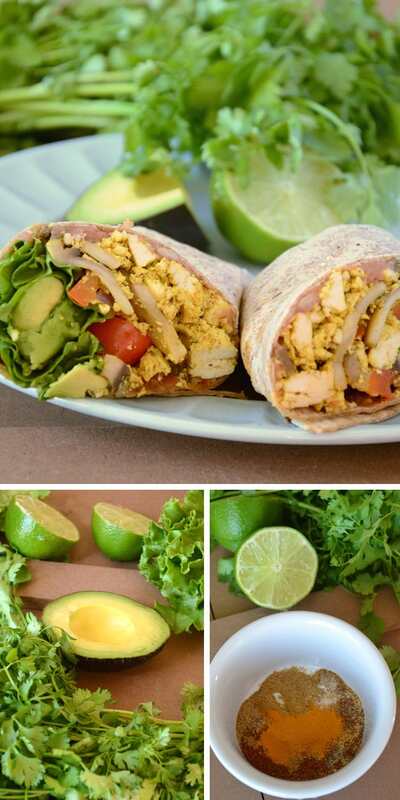 They can even be prepared and frozen individually for a healthy take on frozen burritos! For more vegan Mexican recipes, check out my Red Rice and Chili Lime Black Bean Burritos, these Vegan Tostadas with Tomatilla Sauce, Romaine Fajita Boats or one of my favourites, these simple Vegan Lentil Tacos. It looks great, but your presentation is even better. Having ingredients at the top of your recipe and step by step pictures is exactly what people are looking for. Keep writing and keep going. YES!!! 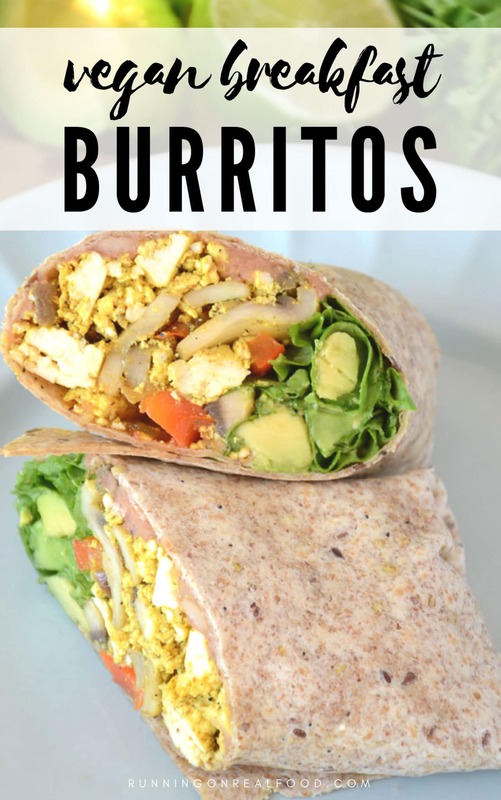 This is my absolute favorite kind of breakfast – I’ve always needed something hearty to get me going 🙂 Can’t beat a big burrito with delicious Mexican flavors! Beautiful pics! Burritos are my favorite thing. This meal seems very ME! I love it, i will make it for lunch some time soon! awesome. These look very filling and delicious! We will share these on Pinterest. Just went oil free vegan and love recipes like this one. These are delicious – I was just wondering if they could be frozen once assembled? Hey! Could you elaborate on how much Tofu you use. I’m new to being a vegan and I used a 400g package. Cheers! I think I probably used a whole 400 g package as well. If you have extra scramble, just save it for later! I’m new to vegan foods and I just wanted to say that this is the first vegan recipe I will be attempting to make. Thanks for the idea! It seems like a very good breakfast choice for me. I was wondering, do you think I could make 5 of these on Sunday and throw them all in the fridge for the week? That way I could just grab one on my way to work and eat it on the way there. I’m totally new to using fresh ingredients like these so I wanted to make sure I could keep them in the fridge like that for 5 days in a row. Yes, they would be okay in the fridge or freezer all week. 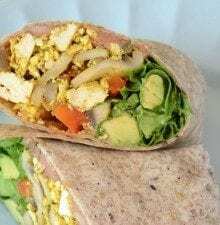 I would recommend wrapping them individually in tin foil or freezer bags if freezing, or if keeping in the fridge, maybe keeping the wraps separate from the filling and just prep them each day as the wraps could possibly get soggy. I haven’t made them in advance though so I’m not 100% sure, they might be fine to store ready-to-go in the fridge! I hope you enjoy them. In order to prevent the soggy tortilla I found that you can grill/pan fry the top & bottom and you should be good. Amazing! It looks simple and healthy. Thanks for the recipe! You mention these can be frozen. Do you freeze without the lettuce, cilantro and avocado and add after reheating? Hi, very good recipe. I am vegan and I am very health conscious. Thank you so much, keep it up. These were great! My husband and I both enjoyed them! Do you press the tofu before cooking it? I didn’t but you can if you want for best results!